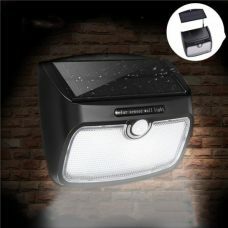 Bright Adjustable Angle Dual 30 LED Solar Wall Security Spotlight with Motion Sensor is a high-quality durable waterproof product with multiple features. 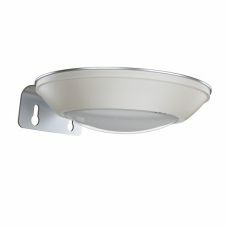 The light operates in Energy-Saving DIM mode with Full Brightness On with Motion Sensor. 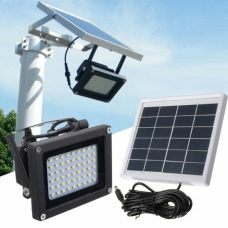 Universal wall mount with adjustable Light and Solar Panel angles makes the product ideal for home, garden, backyard etc. Bright Adjustable Angle Dual 30 LED Solar Wall Security Spotlight with Motion Sensor for home or garden security is a high-quality durable waterproof product with multiple features. The Dual Head LED Spotlight is fully operated by Solar Energy with efficient Solar Panel and powerful built-in rechargeable Lithium battery and does not require any wires or electrical power grid cords. 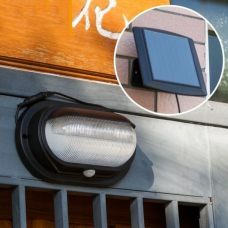 The outdoor Solar Wall Spotlight has built-in automatic daylight sensor that activates the light when it gets dark so it does not require any daily maintenance. It operates in an energy-saving DIM mode in combination with Full Brightness when motion is detected. 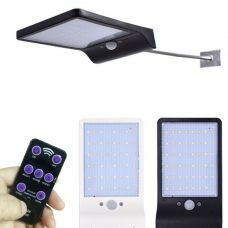 Adjustable Light and Solar Panel angles make the product ideal for home, garden, backyard, garage, stairs etc. 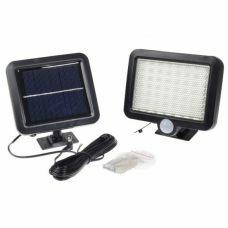 The solar powered security spotlight is an energy-independent DIY lighting product with a universal wall mount for easy installation that does not require wires and can be easily set up anywhere the sun shines. 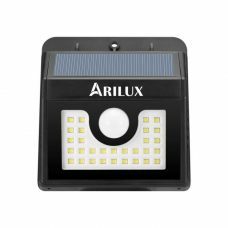 The LED spotlight is a low-maintenance and cost-efficient Solar Product that provides outstanding performance without additional maintenance. 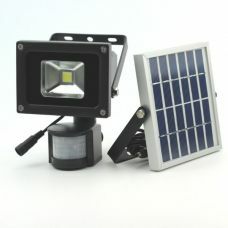 - Energy-efficient lighting products powered by Solar Energy. - Bright 30 LED lighting with extended working lifespan. - Powerful 2000mAh Lithium battery with stretched performance life provides longer lighting. 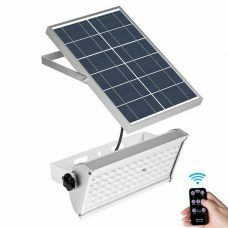 - Adjustable Constriction to improve usability and security with 90° adjustable light angle and 180° degree regulating Solar Panel angle. - Energy-saving DIM Light with Motion Sensor. - Completely safe, easy to install, setup and operate. Universal Mount for a lawn with Ground Stake or Wall application. 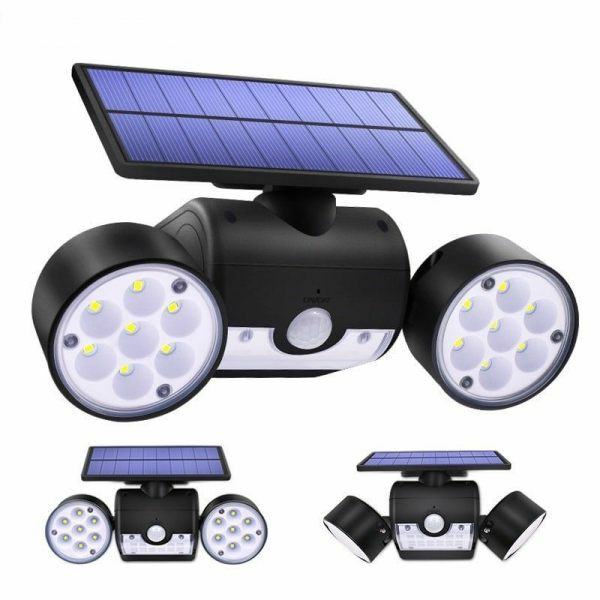 The solar powered spotlight for outdoor delivers reliable long-lasting lighting and is ideal for maintaining casual, emergency or security lighting around the house, garage, driveway, garden, patios, side and backyard, aisles, stairs, entryway, path, fence etc. - Security lighting for any kind of premises and real estate. 1 x Solar Powered Spotlight. 1. 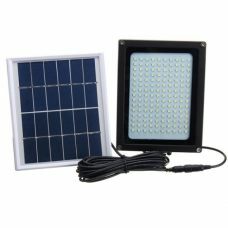 As the power of the Solar Panel is depended on the sunlight, the LED lighting time and brightness is affected by weather, seasons, places, etc. 4. Make the Solar Panel face up for protection against the rain. Keep the spotlight holder away from the water.